Would You Recommend Learning With A Real Piano Instead Of An e-Piano For A Beginner? The look, feel, and functioning of digital pianos have been radically transformed with the use of cutting edge technology by the leading brands. As a result, piano beginners in the present times encounter a massive dilemma regarding their choice of instrument for learning. Since each individual has a set of unique requirements, it is strongly recommended to examine the pros and cons of both the alternatives in detail, before arriving at a decision. Why are the aspiring pianists so positively inclined towards e-pianos? Even though it is quite impossible to recreate the tone and feel of a traditional upright piano with the fullest accuracy, there is no denying the fact that the digital versions are associated with a greater degree of convenience in practical life, apart from an array of fabulous advantages, for making your music lessons a lot more exciting! Being remarkably larger in size, the spatial demands of acoustic pianos are often difficult to meet. You would also be required to shield these pianos from fluctuations in temperature since its tuning might get affected by alterations in the levels of humidity within the room. The lightweight and compact nature of digital pianos makes it an ideal choice for homes where less space is available. Plus, there is no need to worry about temperature changes. One of the biggest advantages of e-pianos is that you can easily relocate these instruments from one place to another without confronting any major challenges. Since acoustic pianos are extremely heavy, maneuvering is out of the question, unless you hire professional help. Being reasonably priced, digital pianos cater to all kinds of budget, and hardly involve any costs of maintenance. Unlike acoustic pianos, these instruments do not require tuning from time to time and save you a great deal of money and efforts. With a digital piano, you are not just limited to a sound of a particular sort. A number of models allow you to experiment with a captivating variety of sounds, including those of different kinds of pianos, as well as other instruments, such as guitar, flute, and percussion. You can try layering a couple of these, in order to create unique auditory effects while playing! An e-piano gives you the liberty to engage in musical sessions at any time of the day, without affecting the tranquility of your surroundings. All you need to do is plug in the headphones, for enjoying complete privacy during your practice. E-pianos provide you with the opportunity of recording and storing tracks on your P.C. or any other device, with the help of inbuilt sequencers. You can also connect your instrument to your iPhone or iPad for honing your skills or boosting practice with numerous interesting apps. By incorporating MIDI technology, these pianos end up adding astonishing new dimensions to your music lessons! Some digital piano models have been designed to include certain interactive features for facilitating learning. This is highly beneficial for all piano beginners, irrespective of whether you have a personal instructor or not. Not to forget the inbuilt metronomes, which help in developing your sense of timing and rhythm. ‘Touch’ happens to be a very significant factor while playing the piano. The rich, acoustic sounds generated by the hammer action and string harmonics, are hard to duplicate for the fluidity of those overpowering emotions. Even though an e-piano greatly benefits the absolute beginners and inexperienced pianists, it might be unable to meet your requirements at an advanced level. There are several performance skills and techniques which you can master only by using an acoustic piano, and not a digital keyboard. Polyphony is another vital aspect with respect to which acoustic pianos easily outshine the digital ones. In the case of the latter, it ranges between 32 and 120 odd notes, while the former offers limitless scope. A sturdy acoustic piano of quality lasts for a century and can retain or appreciates its value over an extensive period of time, depending upon the condition. On the other hand, the value of digital keyboards depreciates pretty quickly and are difficult to sell, because the market is flooded with superior replacements almost every year. You can always donate it to the local Catholic Church or perhaps a charity. Prior to making a choice between an acoustic piano and an e-piano, you need to take into account all the above mentioned crucial considerations, so that it turns out to be a wise investment in the long run. Over recent years, advancement in technology has meant that digital pianos have better sound replication than ever before. However, many pianists and musicologists believe that a digital piano cannot, and will never be able to, match the quality of the real thing. So, which is better: a digital or traditional piano? Well, digital pianos certainly have their advantages. On the other hand, there are some disadvantages, too. 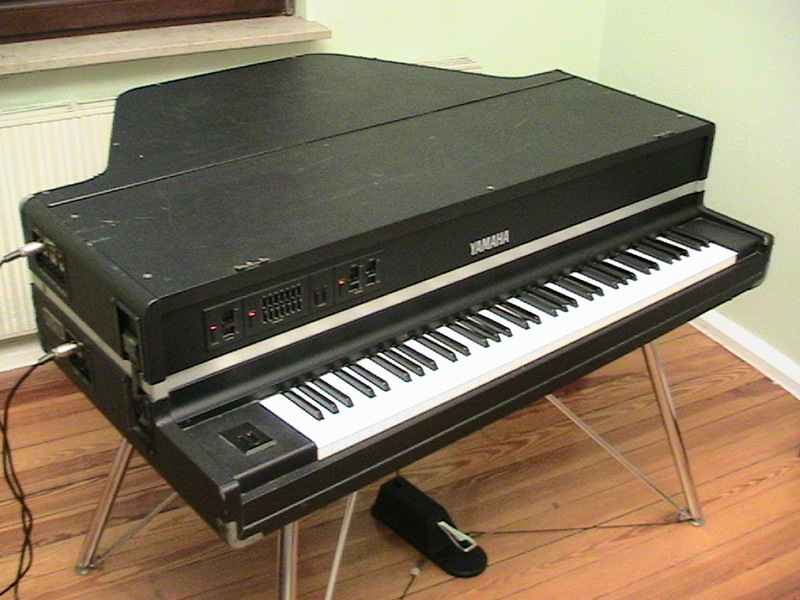 This article will discuss the pros and cons of owning a digital piano. This entry was posted in Beginner Piano Lessons, Digital Pianos, Merriam School Of Music, Piano Lessons and tagged digital piano, digital pianos, digital vs. acoustic.